Travelling with children sometimes poses challenges for parents trying to keep track of multiple pieces of luggage and plane tickets, but on a cruise, the stresses of vacation melt away the instant families step onboard. Travelling with children sometimes poses challenges for parents trying to keep track of multiple pieces of luggage and plane tickets, but on a cruise, the stresses of vacation melt away the instant families step onboard. With countless activities fit for kids of all ages, Princess Cruises makes ocean holidays hassle-free and nothing short of unforgettable. The littlest kids can hang out with all of their new pals at the Princess Pelican youth center. Created specifically for youngsters between the ages of 3 and 7, this kid zone includes dance parties to the most popular hits, tie-dying parties and pajama movie nights. For slightly older kids, Shockwaves is perfect for kids ages 8 to 12, featuring the latest video games, sports activities and tournaments, as well as "Edutainment" programs where they can learn about science in a fun and pressure-free environment. Teenage passengers can escape from their parents for an afternoon and head over to a lounge catered to rockstar lifestyles. Along with dance parties to the latest pop, these young adults can play grown-up with their siblings and close cruise friends as they compete in mocktail tournaments, casino-themed evenings and fabulous teen makeovers. 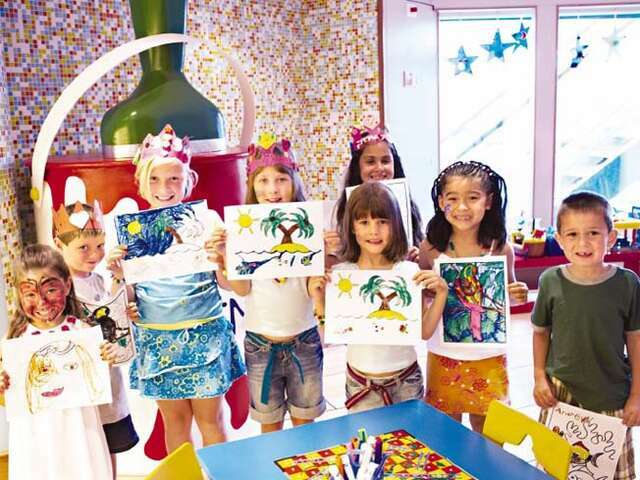 On the Royal Princess, a kids club for kids 3 and younger, where parents can come to play with their children is available. And for that reason, we're crowning them as our pick for your next family cruise getaway. Check out some of our sample itineraries or give us a call today!